It all started in 2016 at the baptizing of my friend’s child in LA. They are the typical Armenian American family, second-generation immigrants pursuing the American dream. At the event in the local Armenian church. I was watching happy families, listening to the local priest teaching the younger generation about family values and the importance of education in our modern society. At that moment my friend turned to me and asked, – “Albert, you are a well-educated person with an engineering background, what do you think about shootings in schools? How can technology help save our kids? Because honestly, I am afraid to send my daughter to school.” At that moment I looked in the eyes of Michelle, his 5-year-old daughter and something struck me. I wanted to make a change, at least a small step towards the solution. 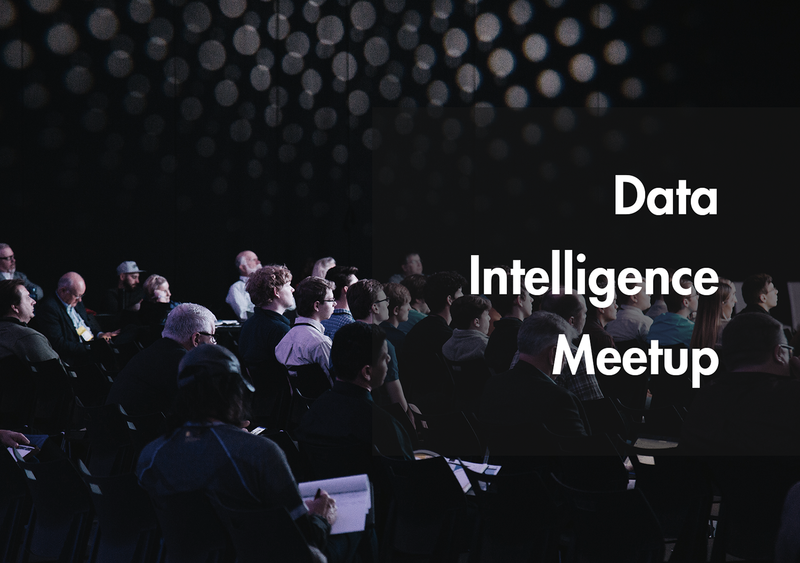 Being an AI (Artificial Intelligence) innovation lab, Develandoo works with some of the most seasoned individuals in this space. We have been able to submit a group of significant talent, most of them with Ph.D. backgrounds. On my way back to the Munich office, I called one of them – our lead computer vision specialists – Ara and asked him about his experience in live stream analysis and told him about Scylla. The answer shocked me “Albert, you know kids are important to me, I will work even for free…. In my overtime, if Develandoo does not pay me for that”. The truth is Ara has a 10-year-old son with autism, so he would do anything to help children. The next step was to find money and support. 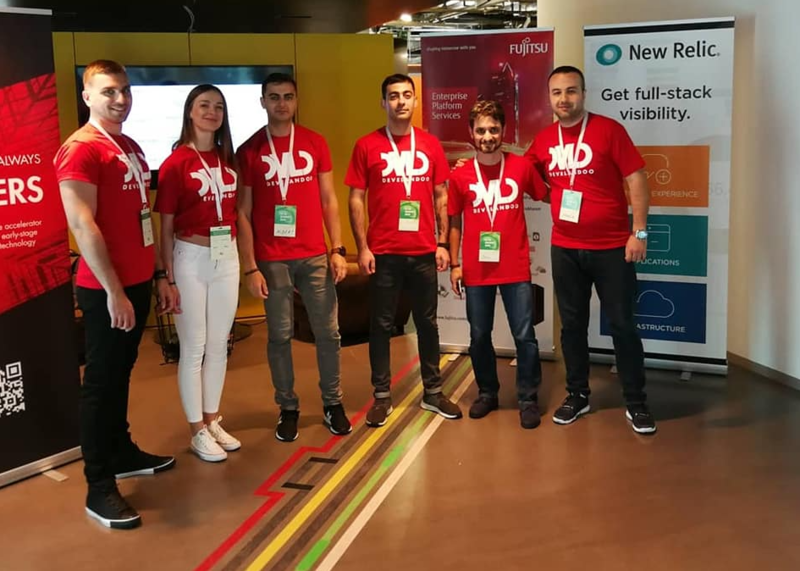 I called my old partners from Atomico and asked them to be part of this innovative startup. After that we were accepted into Startupbootcamp and passed a 3 month acceleration program in Amsterdam. We were able to get their financial and business backing and test the product on live customers and schools. Now having the necessary people, funds, and support, nothing was going to stop us in our mission, to prevent active shooting events at schools, and save innocent lives. In 2017 there were 30 separate active shootings in the United States, the largest number ever recorded by the Federal Bureau of Investigation (FBI) during a one-year period. With so many attacks occurring, it can become easy to believe that nothing could stop an active shooter determined to commit violence. There is “probably one real lockdown” a year at her school of 2,000 students, in an interview to BBC, says Beyoncé Brooks, a 17-year-old student at Millennium High School in Goodyear, Arizona. “Basically, we turn the lights off, the door is locked, and we all sit in the corner of the room huddled. The teachers don’t really say anything, so we don’t know if it’s something that’s real,” she says. “We have thousands of cameras around us,” says Ms. Brooks, who has become a March for Our Lives organizer. But if one person’s looking at 15 cameras, it’s easy for them to miss something, she says. This is where Scylla comes in. 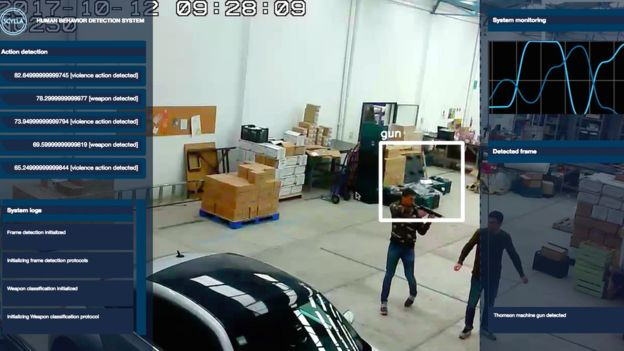 Develandoo has developed a machine-learning engine called Scylla that can spot potentially violent behavior, like someone pointing a gun at a crowd, or wielding a knife or a broken bottle. It’s difficult to observe pre-attack behavior or spot a lethal object before the shooting happens, but it’s not impossible. Our system has been trained to look for these two metrics and identify violence with up to 96% accuracy. When security or police personnel “either respond to the alert or mark it as a false positive” they further train Scylla to tell the difference between the two, drastically reducing response time and in most cases even preventing the shooting. We will provide Scylla at a cost to government and commercial installations, and then at highly subsidized prices to schools. Our main mission is to save kids and prevent active shooting events at schools once and for all. With further support and development, Scylla is being developed to recognize suspicious behavior and further analyze the pre-attack behavior of shooters and those intending to cause violence, making Scylla law enforcements best friend. 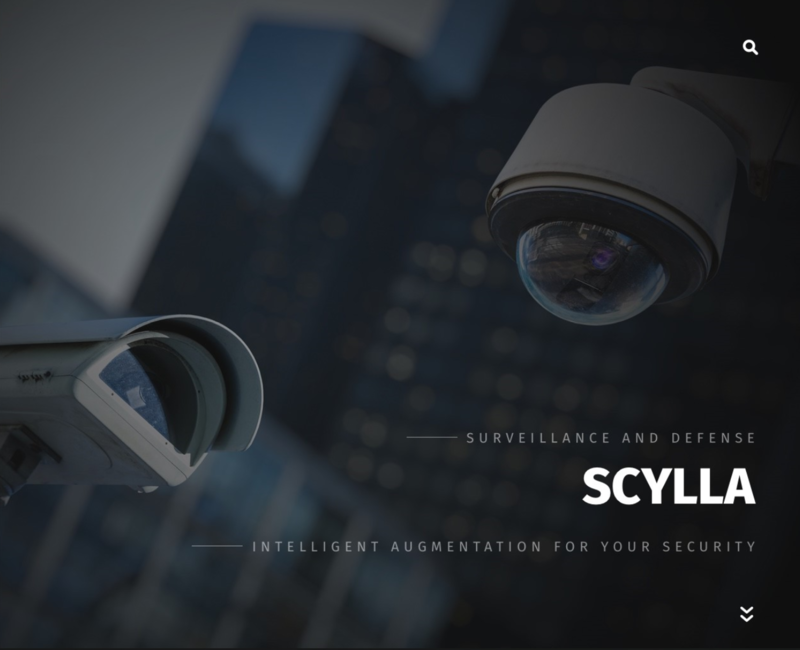 Currently, Scylla (www.scylla.ai) is running successfully in public and private institutions throughout Germany making sure that people are safe. Our team is looking forward to installing Scylla in schools around the world so that kids like Michelle can safely and happily go to schools. Scylla has also been featured worldwide by several famous news networks such as BBC and Emerce.